For my jacket, I used Butterick 6386 for the pattern. For the leggings, I used Simplicity 8212. I only used the print to line the hood, and the majority of the jacket was made using navy and dusty blue solid activewear knits. The solid dusty blue Dryflex knit came in a bundle, and I purchased the navy one last year- it was a Judy P activewear knit that was very high quality- Fabric Mart had a lot of it, and I hope that they can get some more from that brand! There is a lot of variability in activewear knits, and I love that FabricMart finds a wide variety of knits so that I can experiment with them. I sew all of them with a serger and then use a coverstitch for hems and neckbands. Both patterns worked well with minimal tweaking, and I would recommend both of them. The jacket has some interesting lines, and I like the way the front pockets are worked in the curve of the front. Although I generally prefer things on the loose side, I discovered that you really do want your leggings to be snug. Otherwise, they just look wrinkly which is not a good look! 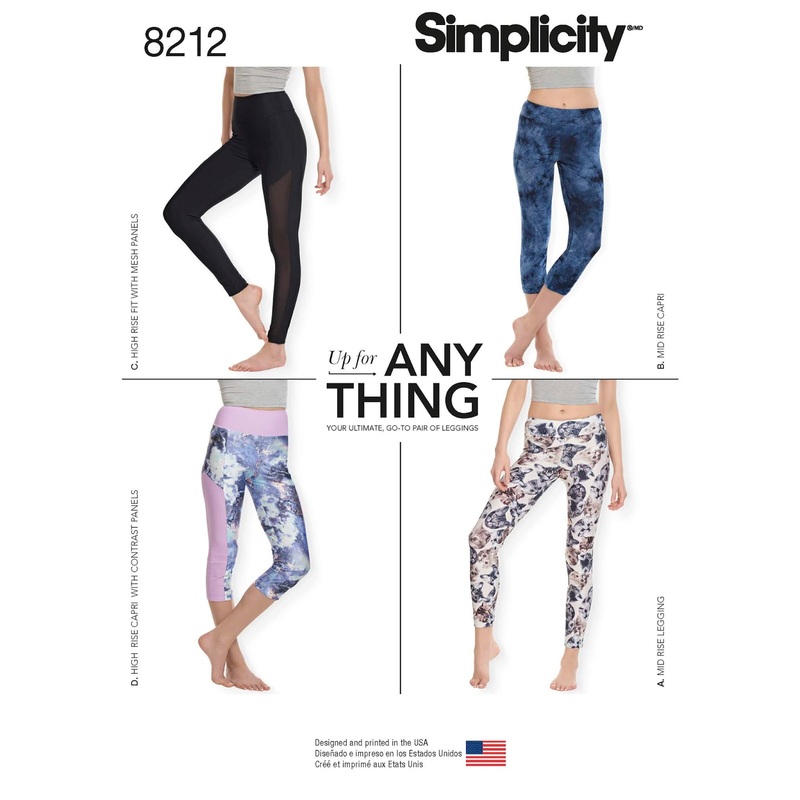 There are quite a few legging patterns out there to choose from- some with pockets and different options for piecing. I chose this one because it had both a simple version and a more complex version, two lengths, and two waistband heights. I decided that I like the higher waistband, so it was nice to have the options. One night when I was going to yoga class, it was a rainy night and in the parking lot, I almost ran over a woman because I couldn't see her! This got me thinking about how I could make my own jacket more visible at night, and I added some iron-on reflective tape on the back, on the sleeve seam and at the front yoke. I think that it really made the jacket a lot more interesting as well as making it safer to walk at night! The cording is white cotton cording that I dyed blue and then wrapped scotch tape around the ends to keep it from fraying. I've done this method before, and it lasts. I forgot to add length to the sleeves and they came up too short for me. Luckily I had enough of the navy knit to make cuffs to make the sleeves the right length for me. The next piece that I made was a tank top using Butterick 6571. 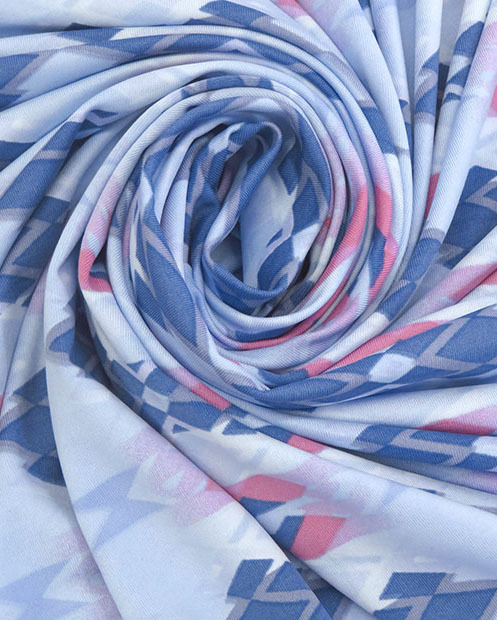 I chose this because of the diamond shape insert that I thought would reflect the diamond shapes in the print. I left off the sleeves, and just bound the entire armhole. The top part of the tank fit me well, but it was too snug in the midsection. So, I added a triangle of the navy knit on the sideseams. 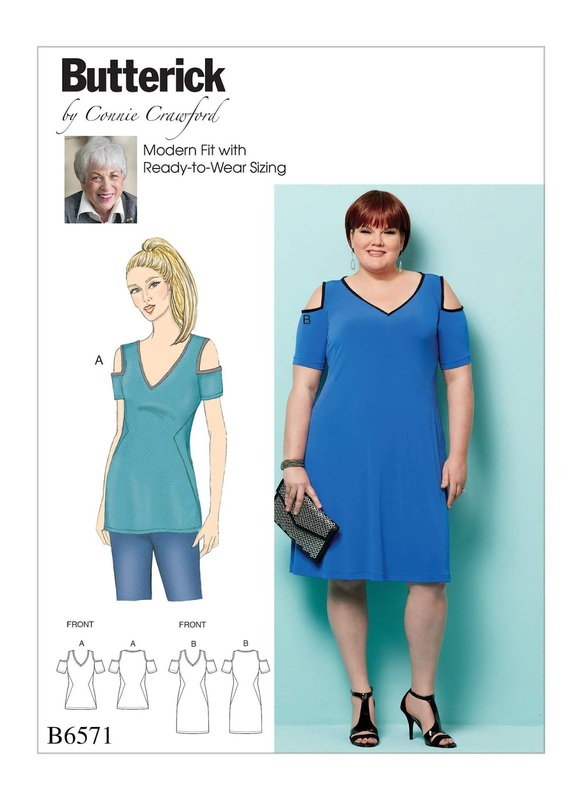 This was one of those "make it work" moments, but I think it actually improved the look, as it navy insert lines up well with the navy insert in the capri length leggings. For my second pair of leggings, I used a strip of the print in the front panel, and solid navy in the back panel, with the majority of the legging being made from the dusty blue knit. These are View D of the legging pattern- the high rise capri. I really like this legging pattern. 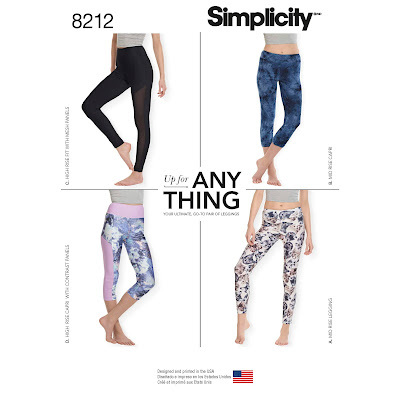 It's easy and fits just like a ready to wear legging would. 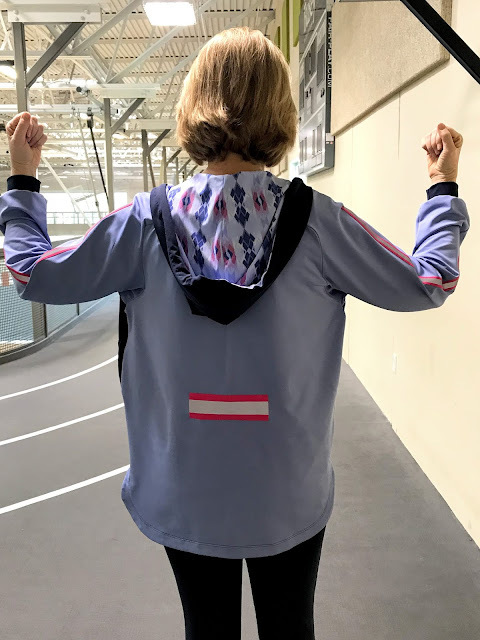 One thing that I find a little tricky with activewear knit is being able to tell the wrong side from the right side, as I believe that some of them are wicking and breathable, and if you reverse the sides, you might not get those wonderful benefits. So, I usually will stretch the knit and see which side the cut edge curls to, and I call that the right side. Please correct me if I'm wrong on that! If you've taken a yoga class, then you know that it's smart to bring something warm to wear both as you are warming up and cooling down, as the room might be chilly. 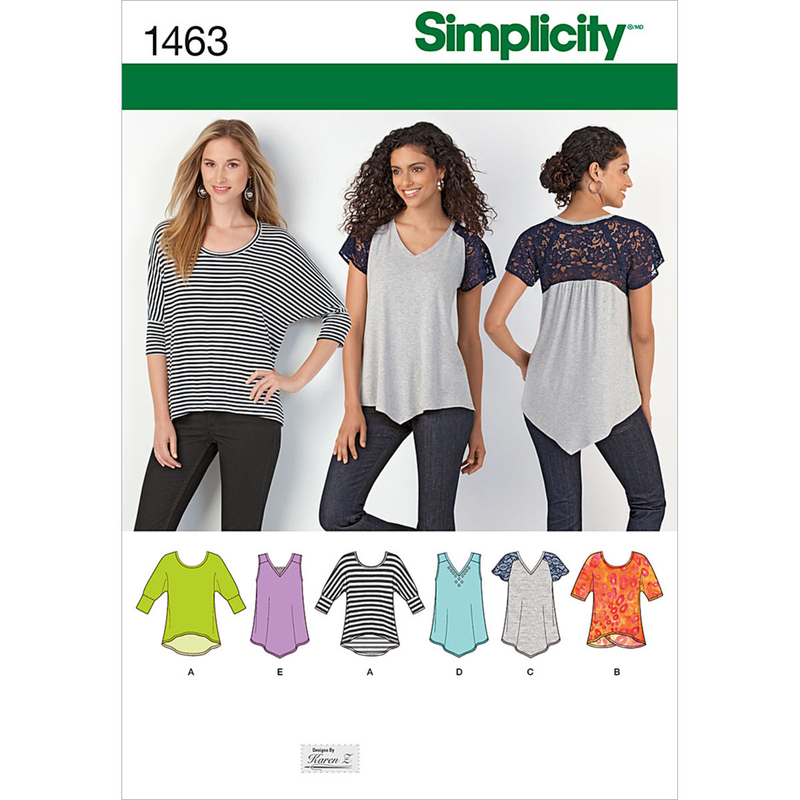 So, I made a loose fitting t-shirt out of a solid blue cotton/lycra knit using View A of Simplicity 1463. I added 4 inches to the length of it, so that I could lift my arms and still have plenty of length. Fabric Mart has some nice solid cotton/lycra knits in stock right now. So, altogether I made a jacket, 2 pairs of leggings- one full length and one capri length, 2 tops- one printed tank and one long sleeved solid t-shirt. I should be set for a while! I really loved making these pieces, and I know that I will love wearing them as well. Have you tried sewing your own workout clothing? How has your experience been? Love all of your projects Ann. Have been collecting some activewear from FM to make my own also. Nice job. Great job on the new workout clothes!! I have DIY'd before but found the leggings pattern I used to run a tad too baggy through the leg. I'll try this pattern!! 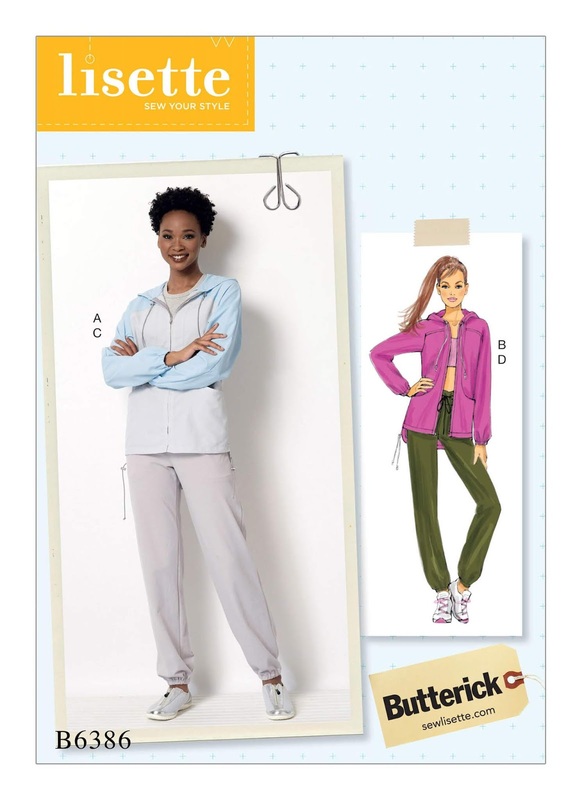 What a wonderful collection of activewear you've sewn ! I love sewing activewear too and found some great quality knit at FM. My favorite was one of Julie's picks and how I wish I had more of it ! Love your post. I have workout wear on my list to try to make this year. Hopefully get to it sooner than later! Great looking projects, I really love that jacket. Such a great set Ann! The reflective tape is such a smart idea. We have night runners in my neighborhood, and I'm always grateful for the ones with reflective tape and lights, and I worry about the rest! These knits go so well together--the contrast on the back of the leggings is particularly sharp! Happy working out!